As Bloomberg‘s Toluse Olorunnipa reports, one way in which Bush is revving up support for the controversial Common Core standards is by casting it as an extension of his “A-plus” plan in Florida. Bush’s plan imposed statewide testing standards, offered financial incentives to improving schools, and provided parents and students with tuition vouchers so they could leave schools that were failing them. Compared to Florida’s high-school graduation rate of 52.5 percent when Bush took office in 1999, that rate has increased to 75.6 percent, says Bloomberg. As Caitlin Emma at Politico observes, one of Bush’s signature education initiatives in Florida, requiring third-graders to repeat the year if they fail a reading test, is now under fire. Bush promoted his education policy aggressively, and, within a decade, 15 states and Washington, D.C. adopted it as well, leaving thousands of third-graders across the nation — some for as many as three years — repeating the same grade in school. Bush’s policy is under fire as even more high-stakes testing, courtesy of Common Core, will be rolled out in states that adopted the nationalized standards. Student performance on assessments associated with the standards are slated to be used to measure teacher performance evaluations as well as student progress to the next grade level. Given that, in states that have undergone trial tests of the Common Core-aligned assessments, as many as 70 percent of students failed, anxiety is rampant about the effects of the initiative on retentions for students. In Oklahoma, for example, where the state’s Supreme Court ruled the state legislature had the authority to repeal the Common Core standards, the state’s lawmakers amended a law to allow students who have failed the third-grade reading test to advance to fourth grade if a team of parents and educators approves. Additionally, Republican governors like Susana Martinez in New Mexico and John Kasich in Ohio have been criticized for wanting to bring the Bush reading policy into their states. 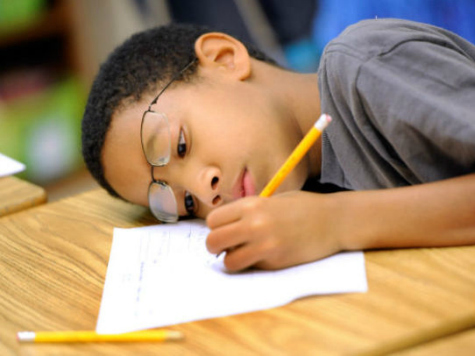 With the National Assessment of Educational Progress (NAEP) indicating that 32 percent of fourth graders were reading at below basic levels in 2013, the claim that the reading retention policy is helping students is on shaky ground, and results of the research on the retention policy is inconsistent at best. Though, as Politico observes, one Florida study shows significant reading gains made by third-graders who were retained, other studies showed that retention led to negative effects on college attendance, and Harvard research found that positive effects of retention faded over time. Research on the topic can be methodologically flawed as well, since states and local school districts often attempt a variety of interventions to address the problem of struggling readers, leaving the problem of determining whether outcomes are due to one intervention or an interaction among several. Bush’s support for nationalized Common Core standards, an endeavor put forward through an alliance among the government, corporatists, and education elites places him at odds with the conservative base of the Republican party. Grassroots groups assert that the education initiative amounts to a federal overreach into an area the Constitution reserves for the states and local governments. Much to the surprise of Washington, D.C. pundits, the Common Core issue sharply divides establishment Republicans, who are traditionally supported by the U.S. Chamber of Commerce, and constitutional conservatives enraged by progressive, “big government” education policies that have led to billions of taxpayer dollars funneled into public schools with little to show for it. Gov. Mary Fallin (R) of Oklahoma signed a bill into law in June that repealed the Common Core standards in her state and replaced them with standards to be developed by the state of Oklahoma. The new standards must be proven to be sufficiently unlike the Common Core, to prevent “rebranding” of the same standards as has occurred in states like Arizona and Indiana. Until the new standards are developed, Oklahoma is reverting to its former PASS standards. Nevertheless, Bush’s nonprofit group Foundation for Excellence in Education in Tallahassee has doubled down in its support for Common Core. As Bloomberg reports, the foundation’s director Patricia Levesque has written numerous op-eds defending the controversial standards, using student gains in Florida as evidence the initiative works. In a video released on June 26 (above), Bush — without mentioning Common Core — touts his state’s turnaround from a “lousy” education system to a national leader in student performance. “All of this validates the need for comprehensive, harder-edged reform,” Bush said.